Leigh Central is a New Accommodation & Events Venue on the Pristine Matakana Coast. 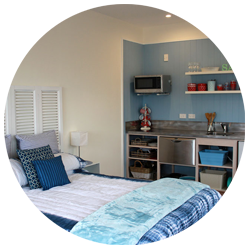 Five Stylish self-contained motel units with that kiwi beach house feel. Plus five Boatshed Cabins. BUILD YOUR OWN EVENT Allows you to style and cater in your own way. Catering for 50 & 150 guests with self-catering commercial kitchen & bar facilities. Leigh Central’s Short Stay Motorhome and Caravan Park Facilities. 14 short stay sites for self contained motorhomes. Power, water and wifi included plus optional bathroom facilities. We are looking at new ways to utilize the Leigh Central venue spaces. Planning is underway for Summer 2018/19 for some new events such as Food Truck evenings and Sunday afternoon music sessions. Follow us on Facebook to find out more. It’s the classic kiwi fishing village on the North Island’s East Coast. with a friendly local community and year round holiday feel. Omaha, Tawharanui Regional Park and Great Barrier & Kawau Islands. We sit at the centre of it all in the Hauraki Gulf Maritime Park. Seaview Room (150 people), Courtyard Lounge (50 people) and Commercial Kitchen are now complete and available for booking. LEIGH CENTRAL SUMMER EVENTS - new ways to utilize the Leigh Central venue spaces. Recently rebuilt and repurposed from its former life as the local pub, Leigh Central’s superb site is set to become a stylish visitor hub in the heart of Leigh village. Everything you need is just a stroll away. All on one site and all Leigh Central! This form does not always work. Leigh Central, right in the heart of the village. The perfect base for visitors to enjoy this relaxed coastal vibe for themselves.